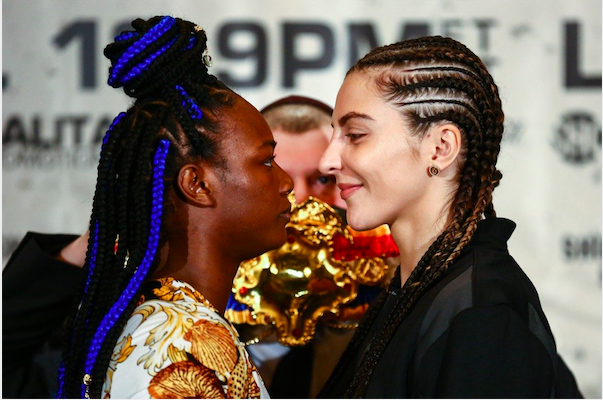 Boardwalk Hall, Atlantic City, N.J., April 13, 2019 (Showtime): Claressa Shields 8(2)-0 vs. Christina Hammer 24(11)-0, boxing 10 rounds of 2 minutes for the women’s super middleweight world championship via an alphabet unification (IBF/WBA/WBC/WBO). First things first, Jab Hook is very excited about this women’s middleweight world championship bout. Congratulations to Claressa and Christina, two champs that are hungry and ready to put it all on the line. Hammer is like the hometown girl to German boxing fans and Jab has made her acquaintance at a couple of amateur events over the years here in Deutschland. Down to earth, she’s just a simple 20-something from Dortmund, but 100% boxer. And “T-Rex, “ she is the most interesting female boxer of all to watch. The fighter from Flint has been entertaining and amazing Jab since her Olympic days. 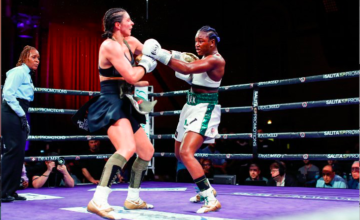 Claressa Shields is a game changer who is capable of walking in the footsteps of Laila Ali, Ann Wolfe, Regina Halmich and the other greats before her, if she remains focused and professional in the ring. Let’s take a step back a moment and put this female championship into context. Women’s boxing is still in the early phases of development. Training partners and opponents are very hard to find and many barriers to women’s boxing remain. Opportunities to get included in professional boxing events are limited, and a female boxer headlining a show is a rare occurrence today. 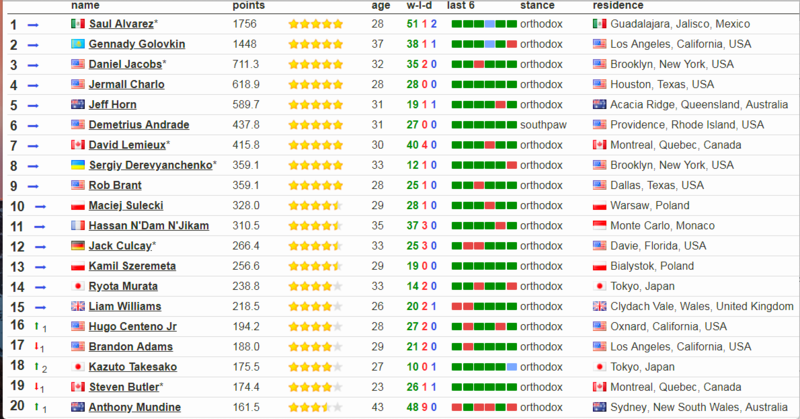 A brief comparison of BoxRec’s top 20 male and female super middleweights reveals some of the discrepancies. If you look first at the men’s list you’ll see many names you recognize and you’ll notice these are all very accomplished and experienced pro boxers. They average >90% wins or better. Only 3 of the top 20 male super middleweights have fought less than twenty times. Nearly half are from the USA, with a total of eleven different countries on the men’s list. In contrast, reviewing the female super middleweight list you’ll see few names you recognize. Only 3 of the top 20 have fought more than twenty times, with 13 having less than ten bouts in total, and 6 with only one or two fights. The #8-ranked Tiffany Woodward has lost 15 of her 19 bouts. Nearly half of the female super middleweights are from the USA, with a total of seven different countries on the women’s list. 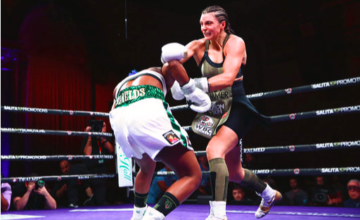 The discrepancies observed between the two lists nicely illustrate the extremely limited pool of professional female boxers at super middleweight. It is even worse than that in many other women’s weight divisions. So that makes this Shields vs Hammer fight a clearly exceptional matchup. It is a showcase event for women in boxing and we can all only hope that the steady progress will accelerate in women’s boxing. And the third woman in the ring at this festival of fabulous female fisticuffs will be the one and only Sparkle Lee. A pioneering female boxing official, Ms Lee is an 18 year veteran in the ring. She has officiated dozens of championship bouts and is closing in on 200 bouts as a professional referee. Now Jab would like to return your attention to Hammer against Shields. Wow, that sounds like a title for a new Hollywood movie about the ancient Greek Amazons. Warring women of great strength and courage who lived to fight. And that is exactly what makes both of these women tick, fighting to be the greatest female boxer of their generation, maybe of all time. But Jab would kindly remind, all time is an eternity. Claressa Shields fought 4 times in 2018, winning all by clear decisions. In fact, Shields won 38 of the 40 rounds, dropping only two to Hanna Gabriels. Dominant performances, yes, but there have been moments of doubt, Claressa’s knockdown, needless show-boating, and a lack of discipline and focus in certain situations. And just 20% KO’s begs other questions about “T-Rex“. Is her bark worse than her bite? Is it a question of technique and getting into a flow? Or is it just that she is a boxer, but not puncher? Jab believes “T-Rex” lacks natural punching power, though she can improve her power with training and practice. In the meantime, achieving a stoppage could be possible with a strategy of high volume combinations, rather than power punching. Shields can attack with concentrated flurries of punches, even if most don’t land, especially when her opponent is on the ropes. Clustering such flurries at the right time may motivate the referee to step in and stop it. Christina Hammer is the veteran in this matchup, having boxed 3-times more than and 3-times longer than Claressa. She has fought 75% of her bouts at home in Germany. Hammer had a limited amateur career finishing at 22-1. 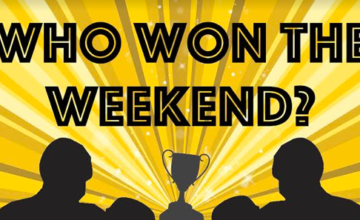 And her only loss was to who? Jab’s DAZN boxing colleague Nikki Adler, who just happens to be calling the bout with Uli Hebel on DAZN.de. They have never met in the ring as professionals. Given that she has more KOs than Shields does bouts, Hammer has the decided power advantage. Add the 7cm reach and size disparity and the obvious influences on where this duel will be fought materialize. Mix in Claressa’s punching creativity and solid footwork with Christina’s long punches and nighty-night bombs and we have an interesting bout on paper. Will the action be as close as that in the ring? Maybe not. Fight long with a tucked chin, jab until you can’t jab anymore, then jab more. Use the check hook and uppercuts to discourage her entry inside. Keep your hands up, clinch every time she gets close and hang on her. Provoke her into a war, as you cannot win a decision. Fight small, jab off her jab, bob and weave to get inside. Work the body every round, stay off the center line, box box box. Back her up, get her on the ropes and in the corners, put some street on her. Overhand rights and swarming punches to force the ref to step in. Jab expects Hammer to have her moments, but she has never boxed the likes of “T-Rex“. She will likely last, but will win only a few rounds. BUT, if Ms Shields fails to respect Ms Hammer there is a danger of a more than lucky punch to the canvas or beyond. Jab Hook assumes a unanimous decision based upon another good performance for the newly unified middleweight champion of the world, Claressa Shields. Please come back for Jab Hook’s Epilogue on the Boardwalk Hall, Atlantic City, N.J., April 13, 2019 later this weekend on NYFights.com.